An original Tiffany Studios Lily Lamp, comprising twelve Tiffany favrile glass "Lily" shades in gold marked by pale lavender and blue iridescence and ruffled rims accented by vertical iridescent striations, on a bronze "Lily Pad" table base in an etched brown patina with chased design of lily pads and buds. 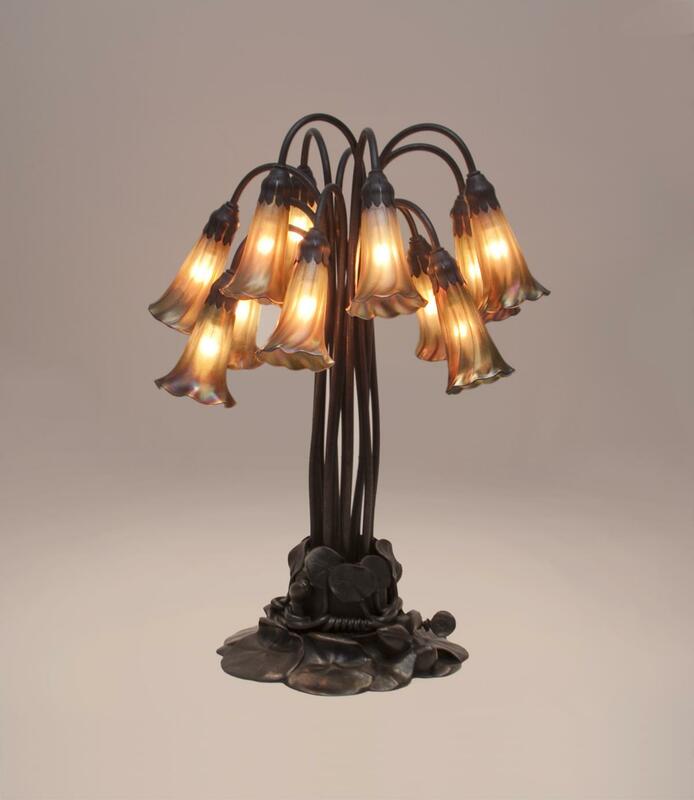 Tiffany Studios was awarded the grand prize after exhibiting a variation on this design at the 1902 World's Fair, held in Turin, Italy, and the "Lily" lamp became an iconic design for the firm. An original Tiffany Studios Lily Lamp, comprising twelve Tiffany favrile glass "Lily" shades in gold marked by pale lavender and blue iridescence and ruffled rims accented by vertical iridescent striations, on a sculptural bronze "Lily Pad" table base, the foot in the form of lily pads and buds with chased detailing, in rich brown patina. 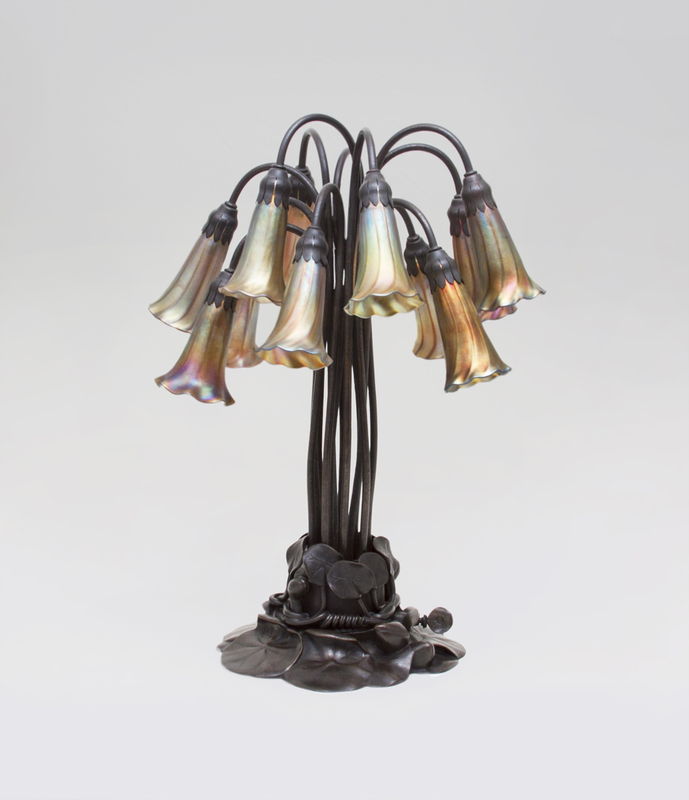 Tiffany Studios was awarded the grand prize after exhibiting a variation on this design at the 1902 World's Fair, held in Turin, Italy, and the "Lily" lamp became an iconic design for the firm.